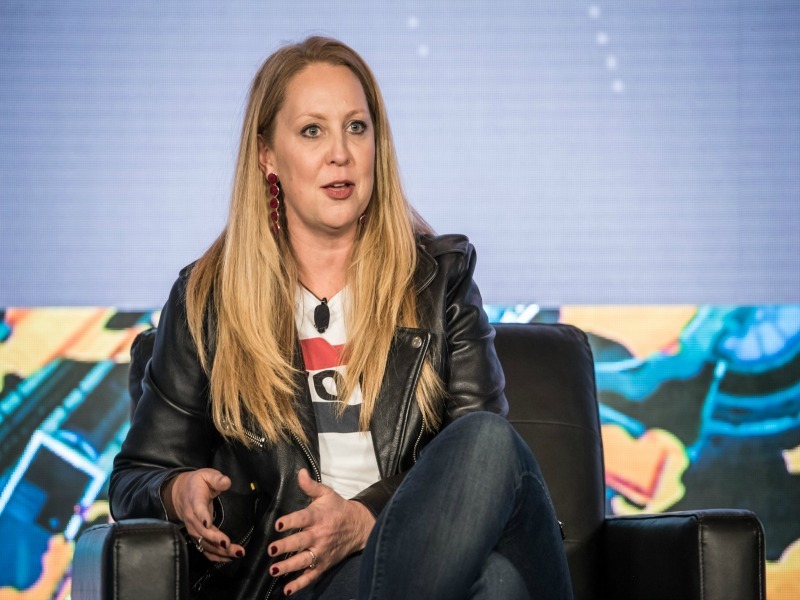 Levi's Elizabeth Owen discussed how the company has been able to sustain and further the purpose and values with which it was created 165 years ago Tuesday at Provoke18 in Washington. WASHINGTON — Roughly 165 years before corporate purpose became fashionable, Levi Strauss created a company built around consumer need (pants strong enough to withstand mining) and being a community pillar, which Strauss started with a $5 donation to a San Francisco orphanage during his second year in business. Speaking Tuesday at Holmes Report’s PRovoke18 in Washington, Owen said that the company, which as the creator of denim blue jeans is a quintessential American brand, has been able to maintain its commitment to the larger good through good and bad times because that tenet is integrated into its core operations. In turn, many of its recent initiatives reflect the company’s longstanding tradition of leading on issues surrounding topics including equality, sustainability and giving voices to groups that don’t have it, Owen said. Levi’s, for instance, desegregated its factories in the south a decade before it became law; stopped funding the Boy Scouts due to its ban on gay troop leaders in the early 90s; and, in response to employee concerns, offered HIV and AIDS education at the start of the epidemic. That commitment also has yielded the ‘Time to Vote’ campaign Levi’s recently launched with Patagonia to rally companies to give employees time off to vote in the Nov. 6 election. The effort has already impacted 2 million workers, and it also correlates to other core components of the brand, she said. “Our proposition for Levi’s is authentic self-expression. What greater self-expression is there than the vote?” Owen said. Sustainability is reflected in the processes and materials Levi’s uses to produce its products, even as consumer demand makes them more complex. The company established policies regulating the way popular jean finishes — resulting in vintage looks and the like — are created so that the environmental impact of chemicals and procedures used in the process are mitigated. Then the company made its information and methodology available to other manufacturers so they could follow suit, Owen said. “It’s not great for the earth if we are the only ones who could follow that type of process,” she said. The way Owen sees it, having input and buy-in from Levi’s highest leaders to employees has been instrumental in the company’s ability to be true to its core, even while only recently navigating its way out of a slump that started after its peak in 1995.